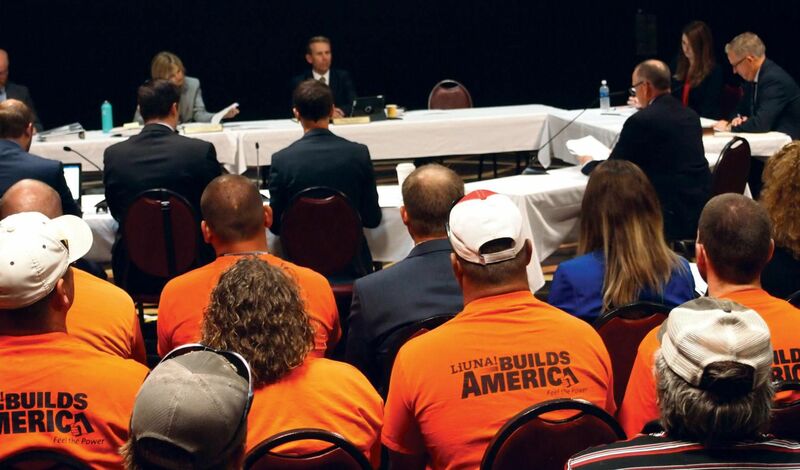 LIUNA members turned out in numbers to the first of two Public Service Commission hearings on a proposed Cenex pipeline that would run from Sidney, Montana to Minot. After Dakota Access, we're not taking anything for granted. We decided to join the case as an official party and show up in force to let the Commission and the public know that we can build these projects the right way and create hundreds of jobs in the process. Read the full story from the Bismarck Tribune here. Members of the Laborers District Council of Minnesota and North Dakota fill the front rows Monday as the Public Service Commission holds a hearing in Minot on a proposed pipeline from Cenex Pipeline.